Good day my joyous reader! We ran a little contest on my joyous health facebook and instagram for the first person to correctly guess all 8 ingredients in this salad. 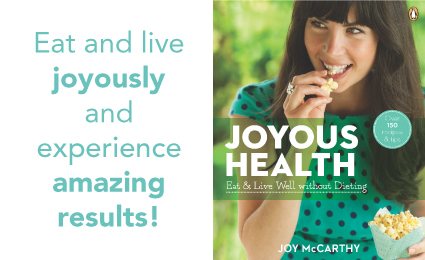 The winners will receive a copy of my book and the joyous10daydetox! Big congratulations to Jennifer D. on facebook and Tami S. on instagram who were the first to correctly guess all the ingredients in the salad (excluding the dressing). Now let's talk about this incredibly flavouful salad full of detoxifying nutrients and fiber (not the kind to make you bloated). As you can see, this past weekend I had some fun with my Organics Live box of goodness. I needed some kitchen therapy after a busy week of events. This is how I recharge my joyous engine -- I hang out at home with my hubs and 2 kitties and make food :) So, after my yoga class at 889 Yoga I was in need of some clean eatin' and deliciousness! Combine quinoa and water in a pot. Bring to a soft boil on stovetop. Reduce to a simmer with lid on. Stirring every so often until you see the outer ring of the quinoa separate. This is when it's fluffy and perfect (about 15 minutes max). In a large salad bowl, combine all the ingredients except the avocado, dressing and seasoning. Once quinoa is ready, mix it in with the salad. You want the quinoa to be hot so it warms the ingredients. Drizzle dressing over top of salad and top with chopped avocado, cilantro, sea salt and pepper. *I mixed white and brown quinoa. **I used a mandolin to thinly slice the beets, but you could just use a cheese grater if you prefer. 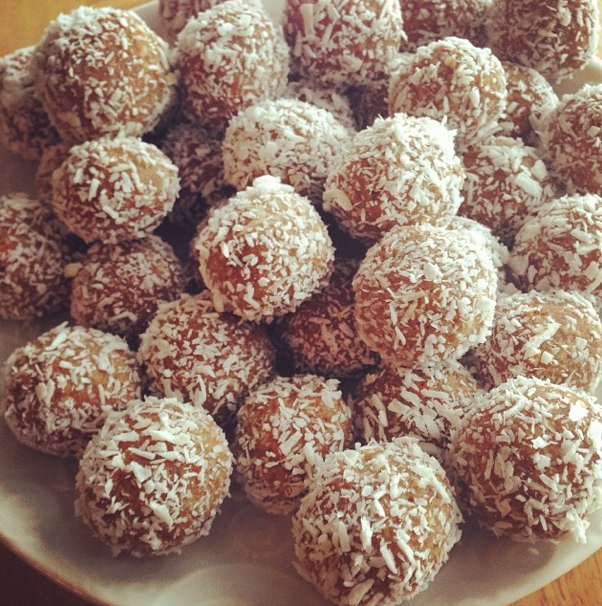 For dessert I had a couple carrot cake balls, as per my instagram photo below. This recipe is on page 258 of my book and yes they do taste like carrot cake my all-time favourite dessert since I was a kid! Quinoa -- This popular ancient seed has been around since 3000 BC. It is a source of complete vegetarian protein, totally gluten-free and chock-full of nutrients: magnesium, iron, zinc to name a few. Future research will likely show us it is a cancer preventative food because of its high level of anti-inflammatory phytonutrients. Beets -- Beets are the main reason this recipe is liver-loving because they are a wonderful source of betaine, which stimulates the function of liver cells and protects the liver and bile ducts. Additionally, recent studies have concluded the betaine lowers the risk of coronary and cerebral artery diseases and this may be due to the fact that betaine lowers inflammation in the body. Plus, they are a great way to check your "transit time". You will see beets come out the other end! As I mentioned earlier, last week was a busy one of events! We had a private book launch party and you can check out the party photos! It was a blast!! In case you missed any of my talks last week, the audio recording of "Beat the Winter Blues" I did for Orthomolecular Health will be available on their website soon. I also spoke to girls in grades 7 to 12 at Branksome Hall about food and mood (super fun!) and they shared a little summary on their website. Lastly, I spoke at Goodness Me in Hamilton and if you missed it but would like to learn about 10 Essential Habits for Joyous Health I will be speaking again this Wednesday night at 6:30pm at the Burlington Goodness Me. Be sure to RSVP as it always sells out (it's FREE by the way). If you make the warm beet quinoa salad be sure to tweet or instagram to me @JoyousHealth #joyoushealtheats I would love to see your food photo! Thank you to everyone who has been sharing their food photos from my book. I really appreciate it!! I'm going to compile a bunch of them and share them. We've emailed you on facebook, thanks!